The message was reportedly up for less than half an hour when Eldora representatives noticed it and took it down. Currently, the issue is being investigated by officials. Robert Slack– Eldora Speedway’s general manager– said that authorities would not confirm that the message was actually from an Islamic radical group. 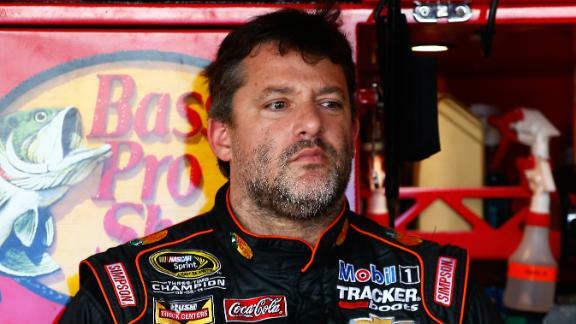 Preparing for the Kobalt 400 Sprint Cup race at the Las Vegas Motor Speedway, Tony Stewart was shocked to hear about it from reporters. Obviously, Tony did not have much esle to say about ISIS that we don’t all already feel and know– which is that they are a cowardly organization that hides in the shadows. They leave messages on random websites because they are too pathetic to come out in the open and say it in public. And that’s okay; America will squash them in due time. This entry was posted in Culture, Racing News and tagged Eldora representatives, eldora speedway, isis, Islamic State, kobalt 400, Las Vegas Motor Speedway, tony stewart. Bookmark the permalink.